Hitler rose to power during a hard time in German history. Hitler was able to persuade Germans to follow him because of their disparity. Germans had faced a hard time after World War I. After World War I, Germans were given harsh reparations that they had to pay back to the United States and Great Britain. In order to pay for the reparations Germany had to print more and more money. By printing more and more money this made the Germans currency the Reich mark near worthless. This caused extreme hyper inflation, sending Germany into a recession and a depression. Because of this depression, the Germans looked for a leader to get them out of it, Hitler had a voice and a way. His extremely persuasive speeches would pull you in at the beginning by starting with a low voice, or even a whisper, Hitler would captivate his audiences by forcing them to pay close attention in order to hear him.Then his speeches turned loud and convincing, at times screaming and pounding his fist, he would keep the attention of his audience by almost putting on a show for them. Hitler also was able to pull Germany out of their depression. He accomplished this by putting Germans to work on building up the military and getting rid of the untermention. Hitler utilized a new type of war that was called a blitzkrieg. Blitzkrieg means "lightning war" A blitzkrieg utalizes the new weaponry of World War II. The lightning war starts with the bombing of the target, after the defenses have been weakened from the bombing, tanks are then deployed to break through the rest of the defense. After the tanks have moved through, ground forces are moved in and the target is then surrounded and cut off. The goal of the lightning war is to catch the enemy by surprise and cause quick surrender with minimal losses. Hitler used blitzkriegs against Belgium, Russia, France and many other countries during his rein. It was an extremely effective tactic when used properly. The phony war is a period of time between Hitlers invasion of the Sudetenland and the beginning of WWII. This period was peaceful. Hitler said that after the Sudetenland he wouldn't invade any other nation. Chamberlain participated in appeasement, or giving Hitler what he wanted in hopes of keeping peace. Despite the efforts made by Chamberlain, Hitler teamed up with Stalin and invaded Poland with his new style of war known as a blitzkrieg. In this Phony war period, Britain had declared war on Germany but took no action to attack Germany. Germany attacked a passenger liner in this time period. The Passenger liner the Athenia was attacked on September 3rd,1939. 112 people died. Hitler had ordered not to attack any liners unless they were obviously traveling in a convoy. This attack showed the British what Germany was willing to do in war. Operation Sea Lion was a German operation. The plan for the Germans was to bomb British military positions and supplies in order to weaken Great Britain for a German invasion. The Germans never completed the mission due to a lack of air supperiority. 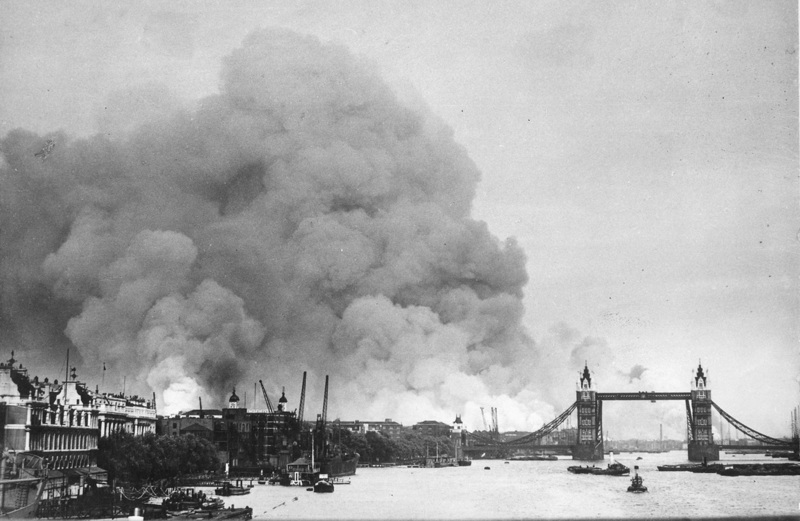 During the original bombings of Great Britain, British airforce and navy fought back. The British bombed Berlin in order to throw Hitler off. 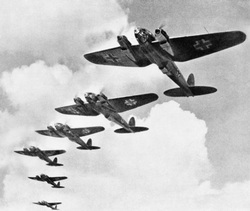 Hitler in return started bombing British cities, this allowed the British military to rebuild and fight the German Luftwaffe in the air, and the German Navy at sea. Hitler ordered the Operation to be stopped because there was no dominance of the air or sea. This was one of Hitlers first failures of the war. Hitlers last days were spent in his bunker known as the Fuhrer-bunker. This was the last stand for Germany, when Hitler retreated to the bunker, the Germans knew that the war was soon to be over. 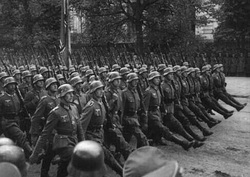 Hitler kept commanding his troops for a few months. Once the Russians demanded complete surrender, Hitler knew that the war was over. 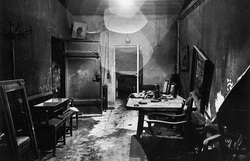 Before he killed himself in the bunker, Hitler married his girlfriend in the map room of the bunker. The next day, Hitler and his new wife killed themselves. Hitler shot himself, while his wife took cyanide. Hitler put Joseph Goebbels as the new chancellor of the Reich. Goebbels and his wife also committed suicide instead of attempting to escape.